You are here: Home / Articles / Why We Dream… ? I never had any dreams before I went into analysis. At least I never remembered them. Well, that’s not quite true. When I was six I fell asleep on the toilet and dreamed God came and told me everything would be fine. And I vaguely recall other childhood dreams of magical gardens peopled with elves and fairies. According to research into the physiology of sleep, we all dream several times a night, shown by so-called REM phenomena—rapid eye movements. People deprived of the level of sleep at which dreams occur soon become anxious and irritable. These experiments, while silent about the content or meaning of dreams, suggest they have an important biological function. But ‘why we dream?’: Jung believed that the purpose of dreams was to monitor and regulate the flow of energy in the psyche. I am on a street in the centre of a deserted city, surrounded by cavernous buildings. I am chasing a ball that keeps bouncing between the buildings, from one side to the other. It keeps getting away from me; I cannot pin it down. I woke up in a cold sweat, terrified, sobbing uncontrollably. From this distance it seems quite innocuous. At the time it blew my world apart. And I have seldom had a dreamless night since. It was my introduction to the reality of the psyche—a baptism by fire. I did not know that something could be going on in me without my being aware of it. I believed that will power could accomplish anything. “Where there’s a will there’s a way.” My bouncing ball dream came in the midst of a mighty conflict which I had a will to solve but no way. I kept thinking I could deal with it by myself. My reaction to the dream killed that illusion. Jung describes dreams as independent, spontaneous manifestations of the unconscious, self-portraits, symbolic statements of what is going on in the psyche. Although they are not more important than what goes on during the day, they are helpful comments from the unconscious on our outer life. Freud’s view was that dreams have a wish-fulfilling and sleep-preserving function. 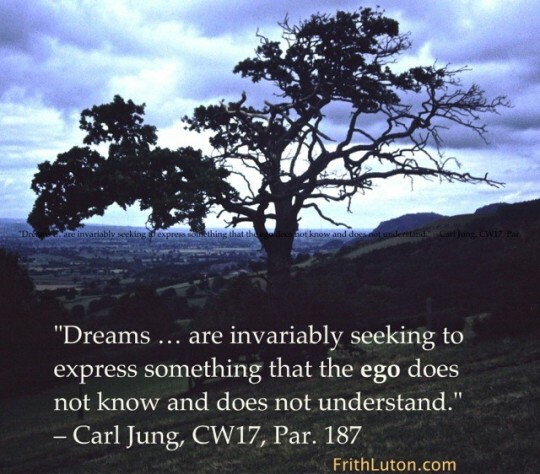 Jung acknowledged this to be true in some cases but focused on the role dreams play in the self-regulation of the psyche. He suggested that their main function was to compensate conscious attitudes—to call attention to different points of view—in order to produce an adjustment in the ego-personality. Compensation is a process aimed at establishing or maintaining balance in the psyche. If the conscious attitude is too one-sided, the dream takes the opposite tack; if the conscious attitude is more or less appropriate, the dream seems satisfied with pointing out minor variations; and if the conscious attitude is entirely adequate, then the dream may even coincide with and support it. 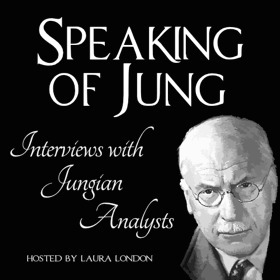 Jung also emphasised the prospective function of dreams, which means that in many cases their symbolic content outlines the solution of a conscious conflict. This is in line with his view of neurosis as purposeful: the aim of dreams is to present to consciousness the information needed to restore the psyche to a healthy balance.